The Ecco E4 wall mount mailbox has a transitional and understated design created to enhance any entrance. Made of 18 gauge brass, the mailbox will not rust. Actual metals are used in the plating process and this layer is finished with a clear coat of lacquer. 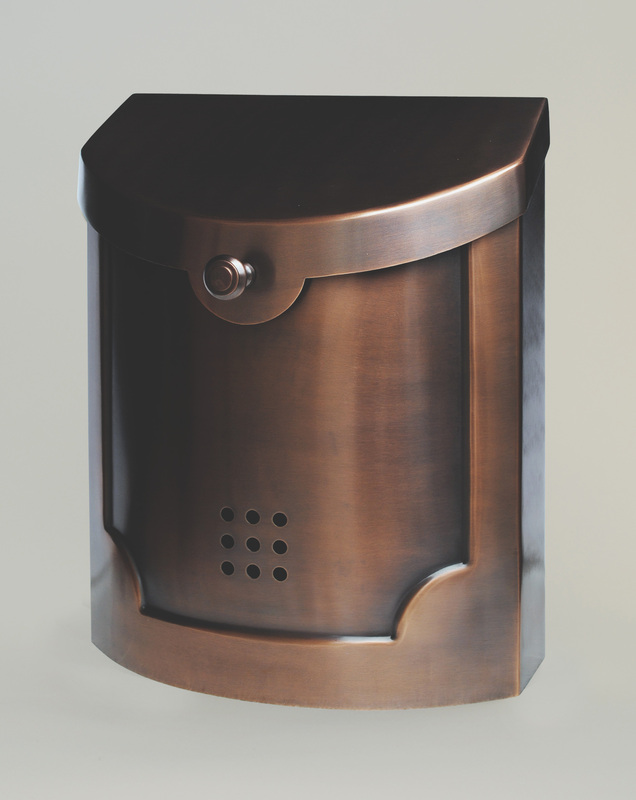 Over time, the mailbox finish will slowly oxidize as it reacts to the air and the elements causing the color to darken.